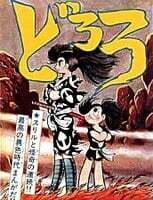 Plot Summary: Dororo, a young orphan thief, falls into the company of Hyakkimaru, a powerful demon-hunting rōnin. Before Hyakkimaru's birth his father, a greedy feudal lord, made a pact with 48 demons and let them each take a piece of his unborn son's body, in return for granting him great power. Hyakkimaru was born a barely human creature—without arms, legs, eyes, ears, a nose, or a mouth—and his father had him thrown in the river. He was rescued and raised by Dr. Honma, who made him artificial limbs and helped him learn to fight the demons—each time he defeats one he reclaims one piece of his body. Now he and Dororo travel together through the war-torn countryside.